‘That Boutique-y Whisky Company’ is really the name of the bottler, a cutting edge modern name too, for a relatively conservative industry. It is owned and run by Masters of Malt, and as if to match its modern name, it is perfectly paired with light-heartedly funny drawn graphic labels. It encapsulates the lighter side of the whisky experience, especially when one considers it is NAS and bottled in 50cl bottles, as if begging to be wantonly drunk and not taken (too) seriously. That may not be a fair comment, but I love the label anyway. Three cats – 2 kittens and mommy, are having a chat. The Scottish wildcat appears on all Clynelish OBs, a historical reference to Duke of Sutherland’s former estate which included the town of Brora, so the allusion is clear. “I can haz cheezburger?” is a Lolcat meme. If you don’t already know, the internet loves cats, and if you don’t, google it! The fine looking older kitten serving as a good example to its somewhat immature brother, is of course Brora. The message is clear: Clynelish has big shoes to fill. But then you might argue Clynelish has in fact done a fantastic job filling said shoes. In which case the folks at Master of Malt must be die hard Brora aficionados. Nose: Sort of reserved but there’s an thick oily sweetness, woody spicy vanilla pods and also waxy fruit skins – I know it’s Clynelish but I swear it’s there. Also quite hot and thick. Some ground quartz, and something balmy too. So promising. With water: rounder, gentler, more sweet wood but the minerals are louder and carry through. Palete: Again thick sweet start, woody and fruit-estery in parts, but quickly turning into minerals. Tabasco mixed with antacids topped with a herby rubbing balm. Really good. With water: gentler but same profile. Finish: Tad dry, long, baking soda and sand. This is great, no brash and obvious sherry, though it is disclosed as from a sherry cask. This is ‘whisky’ whisky. Sweetish and ‘chemically’ equally, with something to please everyone, and yet maintain great balance. 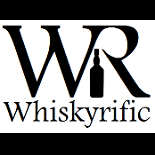 This entry was posted on April 7, 2015 by Whiskyrific in Clynelish and tagged Clynelish.